Constructed of 304 stainless steel, the Outlaw built-in natural gas BBQ grill features four porcelain-coated bar burners that push 15,000 BTUs each for a total of 60,000 BTUs. Grill your favorite steaks on the large 600 square inch cooking area or keep items warm on the 210 square inch warming rack for a total of 810 square inches of cooking space. Lighting your grill is easy with the four heavy duty, push-turn knobs with Piezo electronic ignition. The double-walled hood keeps the heat inside the grill and is constructed from one single piece of stainless steel for durability. The hood includes a heavy-duty thermometer to help you cook food perfectly every time on the stainless steel grill grates. All Bull grills are CSA Gas Certified. Main Grilling Area 600 Square"
Bull Outdoor Products warrants to the original purchaser that when subject to normal residential use, the grill is free from defects in workmanship and materials for the periods specified. Cast iron porcelain-coated burners are warranted for two (2) years. Stainless steel flame tamers are warranted for three (3) years. Stainless steel cooking grids, stainless steel frames, and housings have a lifetime warranty. All other components are warranted for one (1) year. Very good grill for the money. I put it in my outdoor kitchen bar area. Great choice. Love everything about the grill. Lights easy, does not flare up and holds heat very well. Overall 5 stars. Pleased, you will be too. Like most looked at just about everything on the market but to be blunt I think $4k for a grill is insane. Finally settled on the Bull Outlaw and could not be more pleased. It has a double lined lid, HEAVY stainless steel grill racks, solid metal knobs (not plastic, chrome wrapped), it just feels well built (weighs 130lbs). Dealing with BBQ for purchase was fast and easy, arrived on a pallet in perfect condition in only 2 weeks. Installation was super easy, it is literally a plug and play, counter top cut out size was exact. It fired right up and has been wonderful, gets hot quick, steady, even temp...I feel the enamel coated cast burners will provide good life. It does not have all the bells and whistles as others, but if your looking for a good product at a reasonable price this is the one for you. Bull's entry level grills include Lonestar Select, Outlaw, and Steer Premium models. Bull started building great grills in the nineties and have been going strong ever since! They make a well built, good cooking grill at a good price point, and they have become a popular centerpiece for many outdoor kitchens across the country. From a durability perspective, I like the commercial grade 304 stainless steel exterior housing and cooking grids, both backed by a lifetime warranty. The hood is made from a sturdy 14 gauge 304 stainless steel, that is great for retaining heat. 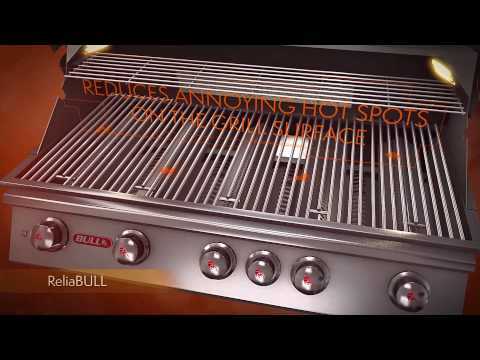 As for how it cooks, Bull's ReliaBULL technology offers perforated stainless steel flame tamers that help the burners spread the heat evenly to reduce hot and cold spots. Bull uses a simple, but reliable, piezo powered, flame thrower ignition system. I really like that this system doesn’t need batteries that eventually wear out and have to be replaced. The burners on the Lonestar Select, Outlaw and Steer Premium models are different on each model. Lonestar Select uses a welded stainless burner, Outlaw uses porcelain coated cast iron and Steer Premium uses a stainless tube burner. 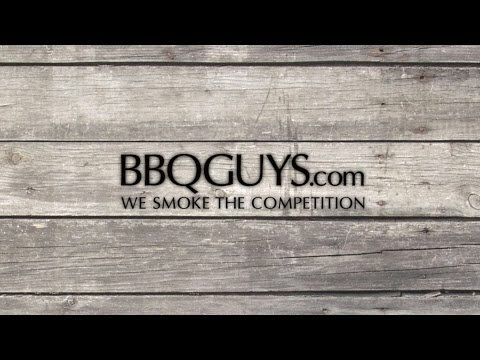 While the Lonestar Select and Outlaw use different burners than Bull's higher end Angus, which uses cast stainless burners backed by a 20 year warranty, I like that they both offer the same number of burners (4) and BTU (60K BTU) as the Angus, so the cooking performance is formidable. I also like the internal lights that come standard on the Lonestar Select, which makes nighttime grilling much easier. While the Bull warranty is strong on the housing and cooking grids, the flame tamers are only backed by a 3 year warranty and the valves are only backed by a 1 year warranty. As for the burner warranty, the Lonestar Select is only 5 years, the Steer Premium is only 3 years and the Outlaw is only 2 years. You'll also want to consider that these grills lack a rear burner and rotisserie kit, so you'll lose some cooking versatility. Does this grill have built in lights? Hi, Dee. The Bull Outlaw does not come with lights. However, the Bull Lonestar Select and the Bull Angus have lights and are the same size. 30 X 19" 27 X 18" 30 X 18" 30 1/4 X 18 1/3"
31" 29 3/4" 30 5/8" 30 5/8"
21" 21 3/8" 20 3/4" 20 3/4"
9 1/2" 7 1/2" 8 1/4" 8 1/2"